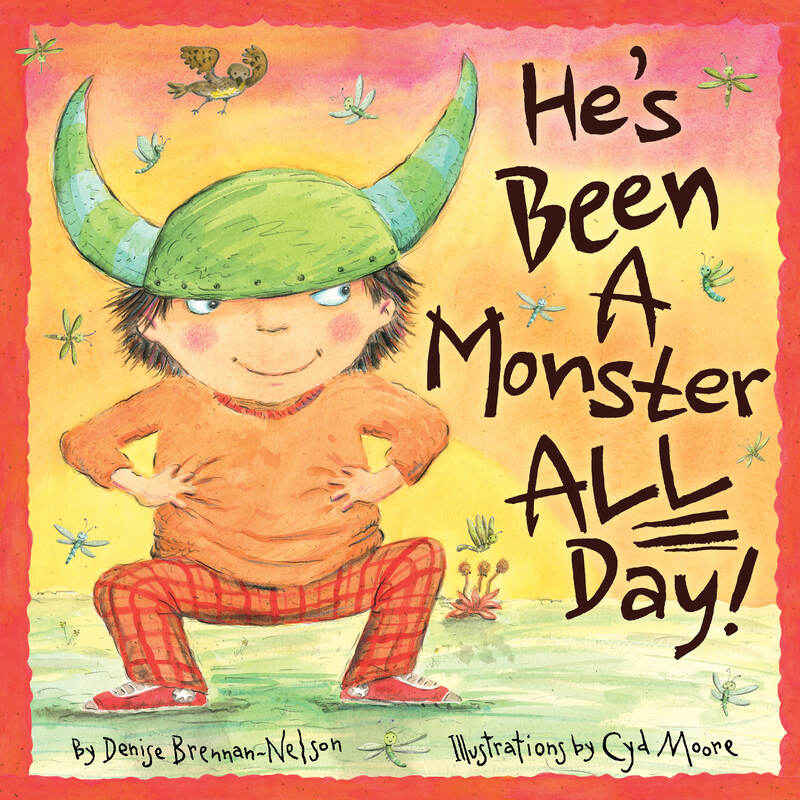 My children (almost 3 and almost 5) both really enjoyed this review copy of He’s Been a Monster All Day by Denise Brennan-Nelson and illustrated by Cyd Moore from Sleeping Bear Press. I think the illustrations are lively and the theme of a child imagining themselves as a monster never gets old. 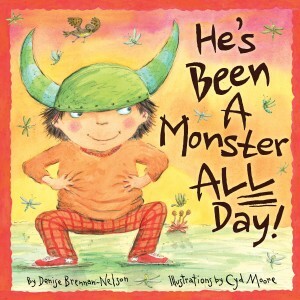 There’s some subtlety to the story and illustration that I wasn’t sure younger children will follow – the book begins with a boy overhearing his mother complain he has “been a monster all day” and ends with the implication from a father’s shadow that he has a bit of a mischievous “monster” in himself like his son. My children were engaged and entertained either way, however, so I’d consider those details bonuses for a caregiver reading this to a child. I do find that potty humor just doesn’t track well with me in books I choose for my children, so I wanted to mention there’s a reference to passing gas (the book uses the phrase “cut the cheese,” a phrase my little ones weren’t familiar with but the illustration for the page makes the point) but it is just featured as one of the many things the little boy in the book does as his monster-self. At any rate, I think one major positive about imagining oneself as a monster for a child is that it can make something that children fear into something they embrace. I think that is why there are many books you could seek out if you’d like to make monsters less of a worry for the little one in your life, including this one. The prose is well suited for reading aloud.